Two renowned poets tell the story of Prudence Crandall and her black students, who endured the cruelty of prejudice and hateful actions for the sake of their education. Miss Crandall faced legal proceedings for opening her school of African American women. But her young students knew that Miss Crandall had committed no crime. They knew that the real criminals were the rich white residents of Canterbury, Connecticut, who had poisoned the school's water and set fire to the schoolhouse. But hatred could not destroy their patience and compassion. From March of 1833 to September of 1834, when persecution forced the school to close, these African American women learned that they deserved an education. What they needed was the courage to go after it. Poets Elizabeth Alexander and Marilyn Nelson have re-created the remarkable story of Prudence Crandall's school in this ALA Notable Children's Book, using the sonnet form with innovative style. 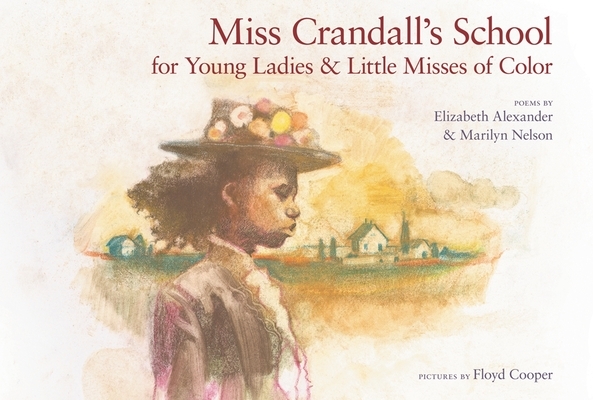 Floyd Cooper's powerful illustrations reveal the strength and vulnerability of Miss Crandall and her students. Elizabeth Alexander is a poet, essayist, playwright, and teacher, and the author of four books of poems for adults, including American Sublime, one of three finalists for the 2006 Pulitzer Prize and an ALA Notable Book of the Year. She is a professor of African American literature and culture at Yale University. Dr. Alexander lives in New Haven, Connecticut.Marilyn Nelson is a past poet laureate of the state of Connecticut and a three-time National Book Award finalist. She is the author of two award-winning books for young people, Carver: A Life in Poems and Fortune's Bones: The Manumission Requiem. She lives in East Haddam, Connecticut. Floyd Cooper is a well-known children's book illustrator whose laurels include three Coretta Scott King Honor Awards, ten ALA Notable Book Awards, and an NAACP Image Award. He lives in Easton, Pennsylvania.